This was an unusual usage for our transfers. Michael Mccormick, from Martha Stewart Weddings, ordered three custom dry transfers. Three letter size, one each in Pantone 110 Yellow, Pantone 186 Red, and Pantone 2945 Blue. Michael gave us Adobe Illustrator files because vector artwork is best for our process. We did not know exactly how he was going to use the rub ons and then we got a copy of the article. What a great idea. 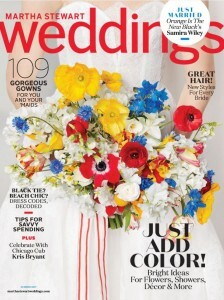 If you have a wedding coming up, Martha Stewart Weddings Magazine have so many ideas we would recommend you subscribe. BOLD MOVES offers a bright idea of adding the punch of primary colors to a backdrop of white. Umbrellas in assorted colors can liven up a plain white dance floor, or provide shade during a sunny outdoor ceremony. They suggest creating a welcome bag with the same colors. Even suggesting the bride or bridesmaids stand out wearing bright yellow, red or blue shoes.Your invitations can match with bright colors. If you stay with all white settings primary color candles can carry the theme. A clever way to have guests find their table is how Image Transfers got involved. Michael took our transfers and applied them to the bindings of white journals. This serves two purposes; table chart and the journal can be a favor they take home. Look how beautiful the final project turned out. This could be extra special for a book loving couple. The theme can continue with the icing used for the Wedding cake and even the next day brunch “sweaters for the bridesmaids” embroidered with their names in those same colors. Our custom dry transfers can be used on many different substrates. Since they are lacquer ink with lacquer adhesive applying them to walls, glass, wood, plastic, aluminum, books, paper, violin bows, guitars, props for movies and of course prototypes have all been successful projects. One of our customers even applies them to the interior of shoes. Our website is “user-friendly” and our production time is quick. We like to be open and up front with our clients. 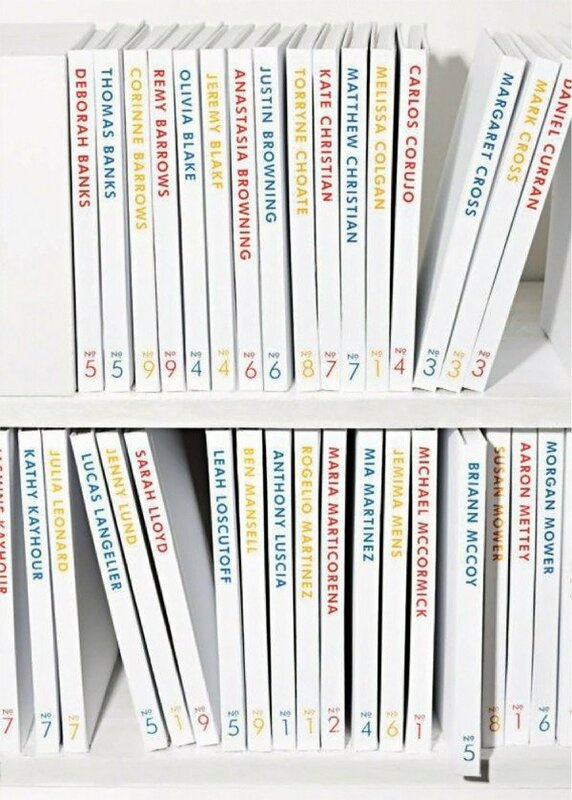 We offer a published price list right on our website. Don’t be fooled by other sites that list a “starting price” and add cost for color match, backing color with white and adjusts per time-frame. Our price list shows total cost and our turnaround is always in 24 to 48 hours. If you have an idea and are not sure how to accomplish it, maybe custom dry transfers are the solution. Just call our studio at (212) 928-7987 or email us at art@imagetransfers.com. There is never any charge for us to review your files and offer suggestions. We summarized. But if you want, you can view the entire article below, it starts on page 174 at this link.